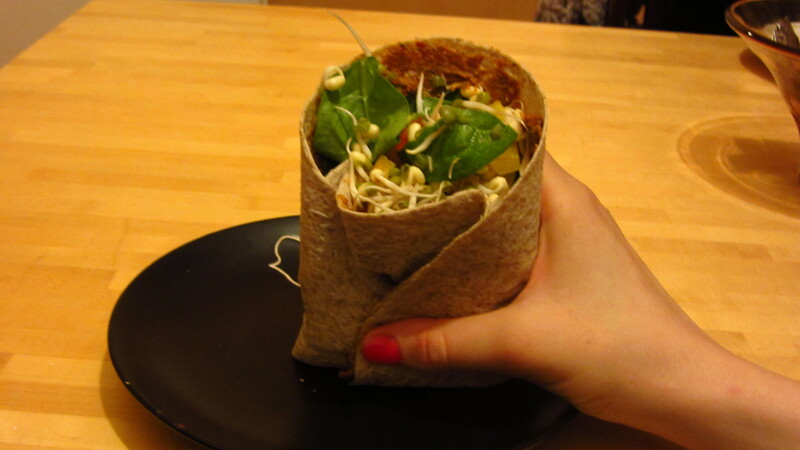 Wrap with mungoa sprouts. Fastfood. Again! Mung bean sprouts – lots of! This was my favorite dish throughout this summer. I would even say that last summer tasted like red pesto inside of a wrap with mung bean sprouts….and sparkly wine with some fine music. Previous Post Potato-bean casserole – for lazy people like me.